From time to time, I get asked by horse racing fans and friends as to what was the best race I’ve seen. My response to their question is always the same: “Do you mean, in person or on television?” Before they can utter out an answer to my inquiry, I snap back, “There is a difference”. What is that contrast? Let me draw a parallel. Imagine hearing live music at a concert by your favorite artist versus a recording. Sure, the caliber of the recorded music might be better listening via your ear buds because you can hear fine distinctions, but it comes nowhere near the excitement level of being physically present at the concert. The same logic applies to horse racing. The quality of the actual races might be better viewed on TV because you are shown plenty of details, but it does not compare to being in the atmosphere of the races with thousands of other fans. The word best is defined as – Better than all others. For the record, and I’ll keep it short, the best race I saw in person was the 2015 Belmont. Thousands of fans throughout the country watched the race on television, and for many it was probably the best race they watched via that medium, but it paled in comparison of witnessing the historic moment in the ambience of Belmont Park and being part of a wild celebration that erupted when American Pharoah crossed the finish line and ended nearly four decades of Triple Crown starvation. But this article is about that other best race. The one on television, and I’m not referencing Secretariat’s 1973 Belmont, for that race stands alone in another stratosphere. 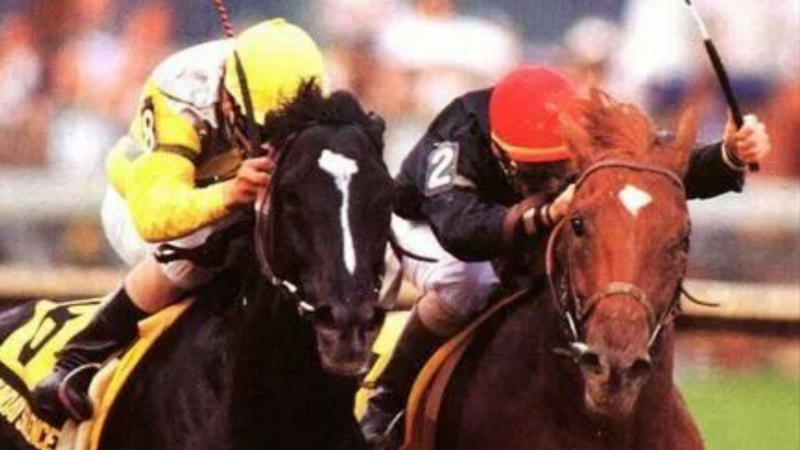 However, back on planet earth, my vote for the best race I saw on television easily goes to the 1989 Preakness Stakes. For the people that WERE in attendance to witness that event, many, if not all, will contest it was the best race they ever saw in person. having already won three Grade 1 races. His breeding for speed and distance was exemplary. He was a big, powerful horse. Easy Goer was special. He was destined for greatness. 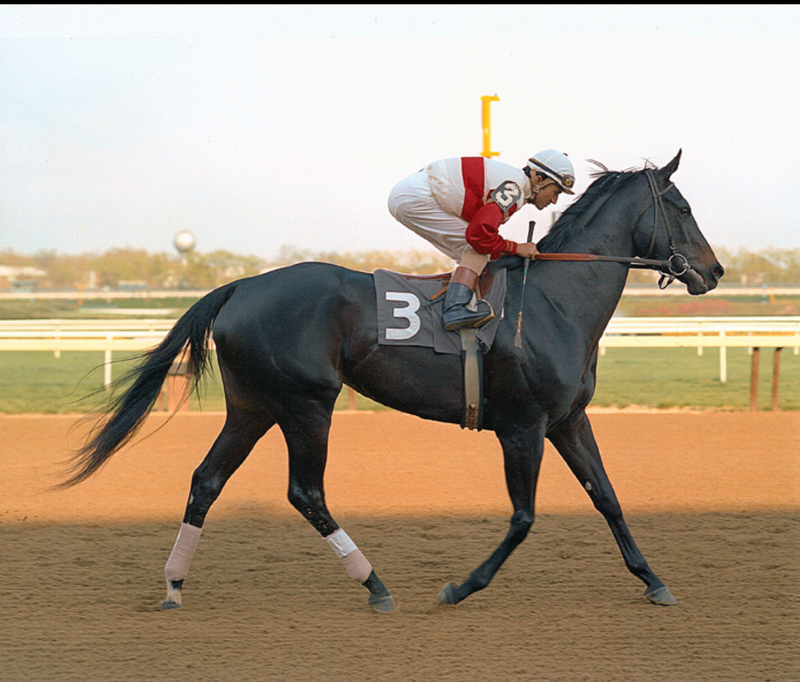 For months there had been so much talk and concentration on Easy Goer from racing reporters based in the East, that Sunday Silence, a nearly all-black colt who had raced exclusively out West seemed to catch everyone off guard at the Derby when he toppled the favorite by 2 ½ lengths. Sunday Silence, tremendously underrated by those not familiar with his accomplishments in California, had considerable merit. Although a bit smaller in stature, he was agile and well-bred. He resided in the barn of cagey veteran trainer, Charlie Whittingham, who had won the 1986 Kentucky Derby. Sunday Silence had won three in-a-row and each of the colt’s races were getting stronger and stronger. Sunday Silence headed to Kentucky off a resounding 11-length romp in the Grade 1 Santa Anita Derby. His latest score garnered him plenty of respect and support, as the Kentucky Derby betting crowd backed him as the 3-1 second choice. Still, more questions were raised than answered by his Derby win. Was his victory in slow time over a wet, muddy Churchill Downs track on a cold, windy day in Louisville, as he bobbed and weaved his way to the finish line, a fluke? Did the track condition hinder Easy Goer from showing his best? He clearly labored over the surface, finally getting untracked late, but never really threatening, as he lumbered up for the place spot. Or did the trouble he encounter during the race cause his unexpected second-place finish? How would the next round play out in Baltimore, Maryland, when the two met again? Despite his Derby score, the wagering crowd at Pimlico were unconvinced by Sunday Silence and once again the colt played second fiddle in the wagering. Bettors who supported Easy Goer two weeks ago, backed the horse even more strongly in the Preakness. They were willing to throw out the performance and contend that Easy Goer just didn’t care for the muddy track. The only other time he contested an off track was six months earlier in the Breeders’ Cup Juvenile, at Churchill Downs where he also finished second. There would be no excuses today. It was warm and sunny on Preakness Day. The newly resurfaced track at Pimlico was lightning fast. In addition, with a smaller field of rivals to face than he did in the Derby, Easy Goer would have less congestion on the track, and thus, a serious opportunity to deliver his A-game. 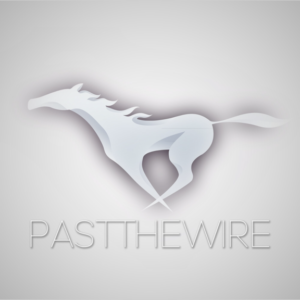 When the nine-horse field came away from the gate, Easy Goer lunged at the start in post two, while Sunday Silence veered out slightly from post eight, but both colts recovered quickly. Going past the stands and heading into the first turn, Northern Wolf had a narrow lead over Houston, while Sunday Silence secured good position in fourth, with Easy Goer right behind in fifth. The first quarter was completed in an eagerly 23 2/5, with Houston now taking command. Once the field got onto the backstretch, jockey Pat Day moved Easy Goer to the outside to let the horse stretch his legs a bit and settle into stride. Houston kept his advantage to the half-mile, which was clocked in 46 2/5, but Sunday Silence had gotten closer on the outside. 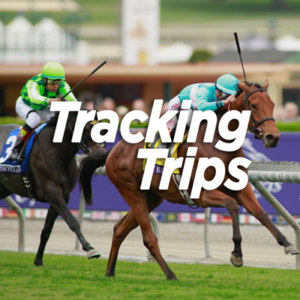 Suddenly, with a burst of acceleration, Easy Goer, traveling better than he had in the Derby, gained five-lengths and had moved into contention. As Day guided his mount up alongside Sunday Silence, jockey Pat Valenzuela looked over to his right and saw his imposing nemesis and shifted his horse out ever so slightly to try to carry Easy Goer out wider on the racetrack. The race riding tactic by Valenzuela to prevent Easy Goer from passing proved futile as Day and his charge were able to clear. The unanticipated early surge of Easy Goer appeared to be the decisive move of the race. In his quest to get the front, Day angled his mount inward, and in doing so, forced Sunday Silence back to his left, putting the California colt in tight quarters between Easy Goer and Houston, who was racing a few paths off the rail. Sunday Silence had to be checked, losing momentum as Easy Goer now moved to the lead heading into the far turn and appeared poised to put the race away. But Valenzuela gathered up Sunday Silence and the colt commenced a pivotal move of his own, and in a flash, made a swift charge on the outside. By midway on the turn, Sunday Silence and Easy Goer were heads apart. As the two horses rounded the bend, Sunday Silence had taken a narrow lead at the quarter pole and looked like he might win easily, but Easy Goer came right back at him and the battle ensued. From that point on to the finish line, covering 440 yards of real estate, the two magnificently gifted colts became glued together and galvanized the audience with an exhilarating and ferocious stretch run that still mesmerizes three decades later. On the outside, Sunday Silence. On the inside, Easy Goer. Both runners totally locked in. Head to head, nose to nose, eyeball-to-eyeball, stride for stride, their muscular, athletic equine bodies in total synchronization. Black legs pitted against chestnut ones. Valenzuela briefly used his whip left-handed before switching to his right-hand. Day was in a precarious spot. Pinned up against the rail with Sunday Silence inches to his outside, he had no choice but to use the whip left-handed on Easy Goer. Through the lane, both riders implored their mounts for every fiber of strength and fortitude, and despite the bumps exchanged between the two, neither gave an inch to the other. As they drove to the wire, Sunday Silence and Easy Goer traded the lead. At the sixteenth-pole Easy Goer regained a slight edge, before Sunday Silence gained a nose advantage in deep stretch, and when he did, jockey Day turned Easy Goer’s head outward to look at Sunday Silence to keep his horse trying and from losing focus. Strides from the wire, both jockeys put away their whips and began furiously hand riding their respective mounts, hoping to gain the upper hand to sway the outcome. Even the slightest one could prove triumphant at this late juncture, but Sunday Silence and Easy Goer were inseparable as they strode to the finish in unison. Both horses fired their best shot. Who won it? “Photo finish, noses apart. I can’t tell”, loudly exclaimed television announcer, Dave Johnson. Valenzuela celebrated by waving his whip. He was right. Sunday Silence had won….by a scant nose. 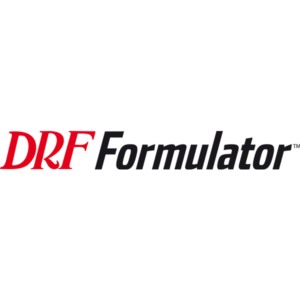 Day lodged a claim with the racing stewards that Sunday Silence had interfered with Easy Goer during the stretch run but following a seven- minute review of the video, the objection was dismissed. Everybody saw the race they expected and wanted to see. Two talented colts slugging it out at the highest level. By virtue of his Preakness win, Sunday Silence submitted evidence his Kentucky Derby win had not been a fluke. It demonstrated he could compete on the same level as Easy Goer. The stretch run of the 1989 Preakness Stakes was of the greatest degree, the highest efforts of the most excellent sort: surpassing all others. And for me, the best race I ever saw on television.